Specifications Wire Type: Male to Male&n..
Infrared Obstacle Avoidance Proximity Sensors Module has built-in IR transmitter and IR receiver th..
With this board you can develop and prototype with any 40 pin AVR microcontrollers likes ATMEGA16, .. The MAX232 device is a dual driver/receiver that includes a capacitive voltage generator to supply.. The AT89S52 is a Low-power, high-performance CMOS 8-bit microcontroller with 8KB of ISP flash memory.. The Uno is a microcontroller board based on the ATmega328P. It has 14 digital input/outp.. This is a very common 0.01uF capacitor. Used on all sorts of applications to decouple ICs from pow.. It is a 1-channel relay interface board with photoelectric isolation, which can be controlled direct.. This is a general purpose chassis mounting mains transformer. The transformer has 240V primary w.. This 16X2 LCD Display Module is used to interface with any kind of microcontroller target board.. This product is a 2-channel relay module board with LED indicators; it can be controlled by microco.. 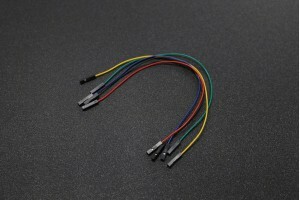 This is a finger print sensor module with TTL UART interface for direct connections to microcontroll.. The meter is handheld Digital Multimeter for measuring DC and AC Voltage, DC Current, Resistance, Di.. The SIM800 modem has a SIM800 GSM chip and RS232 interface while enables easy connection with t.. The board can be used in applications where dimming of 110-220V AC power is required like dimming of.. This is a Great Circuit Board for Audio System with Wonderful Sound Quality. It Needs to be connecte..
FSRs are sensors that allow you to detect physical pressure, squeezing and weight. They are simple.. This Flame Sensor can be used to detect fire source or other light sources of the wave length in t.. The TSOP 1738 is a member of IR remote control receiver series. This IR sensor module consists of a.. The TCS230 color sensor combines configurable silicon photodiodes and a current to frequen.. This is a simple to use Gas Sensor Module which can sense the presence of combustible gases mainly.. This module (MicroSD Card Adapter) is a Micro SD card read/write module via the file system driver a.. This mini 5V version pumps 2 litres per minute making it ideal for use in smaller applications.Spec.. This basic variable regulated power supply using LM317. It can use DC or AC input feed into full bri..
A sealed lead acid battery by sunca very popular brand, It is the battery can be directly used in .. Specifications Resistance (Ohms): 68 O..